Series 780 Right Angle Clamp #780 – 934 780 – 934 3/8 inch 7 3/8 inch 3 1/2 inch Malleable iron with carbon steel U-bolt 1.28 lbs. Series 780 Right Angle Clamp #780 – 940 780 – 940 3/8 inch 8 3/8 inch 4 inch Malleable iron with carbon steel U-bolt 1.40 lbs. Series 780 Right Angle Clamp #780 – 930 780 – 930 3/8 inch 6 3/8 inch 3 inch Malleable iron with carbon steel U-bolt 1.10 lbs. Series 780 Right Angle Clamp #780 – 910 780 – 910 5/16 inch 2 5/8 inch 1 inch Malleable iron with carbon steel U-bolt 0.47 lbs. Series 780 Right Angle Clamp #780 – 912 780 – 912 5/16 inch 3 1/8 inch 1 1/4 inch Malleable iron with carbon steel U-bolt 0.54 lbs. Series 780 Right Angle Clamp #780 – 914 780 – 914 5/16 inch 3 5/8 inch 1 1/2 inch Malleable iron with carbon steel U-bolt 0.57 lbs. 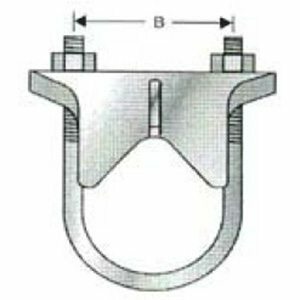 Series 780 Right Angle Clamp #780 – 920 780 – 920 3/8 inch 4 3/8 inch 2 inch Malleable iron with carbon steel U-bolt 0.85 lbs. 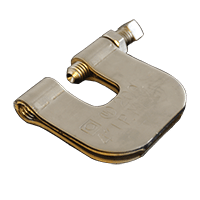 Series 780 Right Angle Clamp #780 – 903 780 – 903 1/4 inch 1 1/4 inch 3/8 inch Malleable iron with carbon steel U-bolt 0.33 lbs. 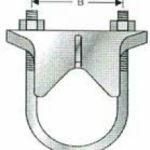 Series 780 Right Angle Clamp #780 – 904 780 – 904 5/16 inch 1 5/8 inch 1/2 inch Malleable iron with carbon steel U-bolt 0.41 lbs.